A lot of guys have picked up a pair of clippers or ventured to their barbers or stylists and decided to shave the sides and back of their heads, leaving a long and unblended top. 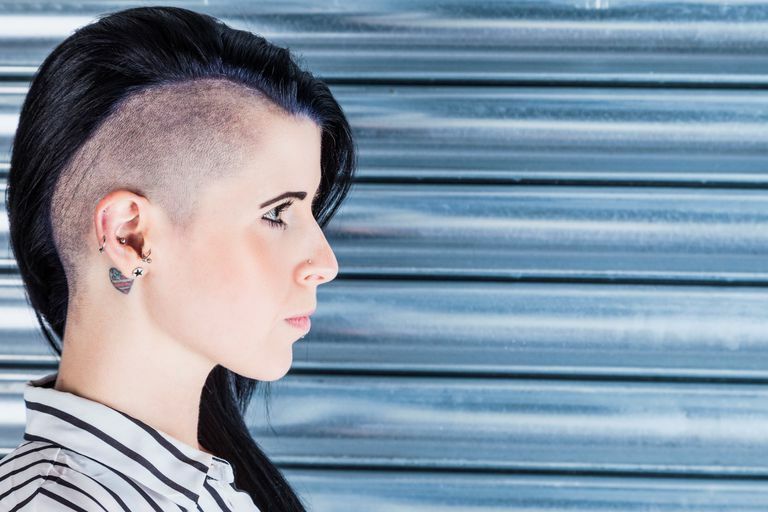 The undercut was a hot trend for a minute, but as the shaved sides started to creep higher and higher up the head, the style started to become a bit ridiculous. The trend is on the way out, and that's leaving a lot of guys struggling with how to deal with growing out their undercuts. How to grow out an undercut while still looking great can be tricky. Whichever growing-out strategy you choose, it is a good time to experiment with some different looks and styles. It is also a reminder to consider what will happen if you jump on an extreme trend but then later decide to transition to another style. The problem with growing out an undercut, especially if you have thick hair, is that you are going to have that ridge of hair around the top of your head (and crown) that will just not lie down properly. Dealing with that bit of hair is the challenge. There are several ways to handle it. The best way to grow out an undercut is often to simply start from scratch. Have your barber buzz everything down to one length, with a clean taper on the sides and back, and start fresh. This will let you grow your hair out evenly and keep you looking neat between haircuts. If you'd like to save some money, you can even give yourself a buzzcut at home. Just be sure to get regular trims every few weeks after the buzzcut to keep it looking neat. Another strategy is to let the hair grow for a few weeks and then opt for a short Ivy League-style haircut. This style is cut short high up the sides and back of the head and buzzed at the crown, and it gradually gets longer at the front. 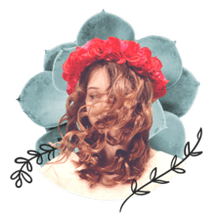 The Ivy League style corrects the problems of growing out an undercut – the awkward sides near the top and the hair on the crown sticking up and out of control. This is a good style option if you don't want to go with a short buzzcut but don't mind taking the top down very short. Depending on your hair thickness and growth patterns, the Ivy League will leave you a little hair to play with while still eliminating the awkward grow-out phase of the undercut. Doing a straight-up growing out is the most difficult and takes the most patience. What you are doing in this method is maintaining the undercut style but letting the back and sides grow out longer, sort of a modified undercut. First, you'll need to grow the sides and back out for a while. You might not like the look, but keeping the edges trimmed up and the back tapered neatly make it more tolerable. This will allow the hair near the top of the head to achieve some length and begin to lie down. During this phase, keep the top trimmed neatly but don't cut it shorter just yet. Maintain the undercut style as the sides and back grow out some. Once the sides and back grow out enough to begin to lie down, begin to shorten the top to balance things out. Leave enough hair on top so you can still part it but short enough so that it looks more balanced in relation to the sides. It could take a few months to achieve this balance and there will be a time, even after you have cut the top shorter, when you'll still have some disconnection between the sides and the top. During this phase, you can mimic a classic taper by keeping the sides combed back with a bit of product.